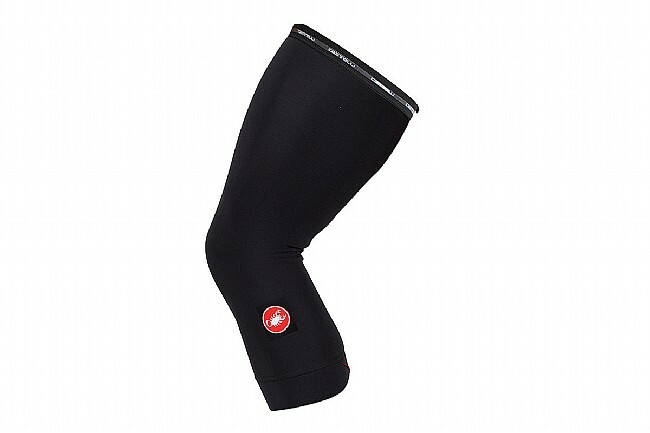 The Thermoflex Kneewarmer from Castelli is composed of a soft, stretchy, fleece-based fabric, Thermoflex. Its tightly woven fibers trap a layer of warm air against the skin for long-lasting insulation. 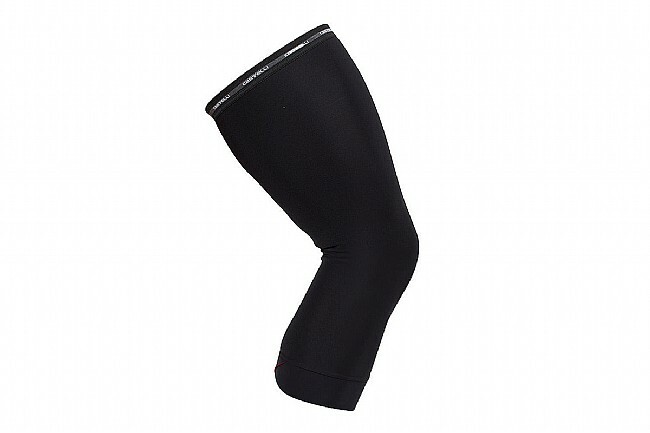 Elastic grip material at the thigh and cross-wrap construction at the cuff help this knee warmer stay firmly in place. Ideal Temp. Range: 8°-18°C (46-64°F). Themoflex material is warm without feeling heavy. Lycra surface sheds road dirt fairly well. Kind of an odd cuff at bottom than looks like an unbuttoned shift sleeve cuff that you can leave down or fold up (-f2) depending on your length preference. Elastic gripper at top has tacky-rubber-like grip on inside and outside making it solid underover shorts. Great buy on sale.